The firsts recovered from a terrible start to their league season in LSL Major 1B to surge through the division with a brilliant streak of form in the second half of their campaign, only to fall agonisingly short of a top-three finish and promotion. There was no shortage of goals in Seaford's early-season matches. The campaign began with a 3-3 draw at home against St James's Gate, a match that was lit up by a stunning Tyrone McNelis volley to open the scoring, before Paul Lydon poached a late equaliser for Seaford. There followed an extraordinary 6-7 defeat at home to Kilnamanagh, before an inexperienced Seaford side suffered a heavy defeat at Beggsboro. A first win arrived against Clontarf, Harry Crowe's six-minute hat-trick turning the game on its head in the final stages, but three straight league defeats plunged Seaford into the relegation zone, marring the dramatic penalty shoot-out win over Verona in the Leinster Junior Cup. The appointment of Stephen Faherty as the new first team manager proved to be the turning point of the season. Although Faherty's first couple of matches resulted in cup defeats, there was an immediate upturn in league form, with an impressive away win at Hartstown Huntstown followed up by a battling victory at home to Greenhillls. There was a setback in the form of a 2-3 reverse against Ringsend Rovers before a brilliant streak of seven wins from eight put Seaford right in promotion contention, with Crowe netting at a rate in excess of a goal a game, and the defence making an equally important contribution, with skipper Fionn Lawlor reinventing himself as a centre back, alongside Alan Brennan or Stephen Kelly. A disappointing display away at Greenhills - and three points dropped against the relegation-battlers - would prove decisive in the final outcome, even though the team bounced back by staying unbeaten in its final six matches. Those included a superb double home and away against champions-elect Booth Road Celtic, as well as a comfortable win over Leixlip and a battling win at St James's Gate. But ultimately, Seaford's poor start left them with slightly too much ground to make up, even though overall it was a season during which the club took a step forward in quality, giving plenty of grounds for encouragement for the next campaign. McNelis (2), Crowe (2), Faherty, o.g. It was another season of frustration and unfulfilled potential in Division 3 for Seaford, who enjoyed a strong second half to the season after a difficult start, to pull well clear of the relegation battle, but ultimately had to settle for a mid-table finish. The start of the season couldn't have been tougher, with four matches in the space ten days, the first three of which were against the three clubs who would eventually pull well clear of the rest of the division to seal the promotion spots. Seaford were comfortably beaten by each of Kill Celtic and Clontarf, but did manage a dramatic 1-0 win over AIB courtesy of Tony Bennett's 89th winner. But it would be some time before Seaford enjoyed another win in the league, as a series of frustrating draws and heavy defeats saw them sink dangerously close to the foot of the table. 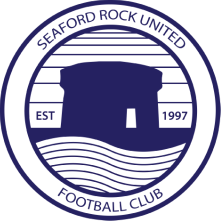 The victory, when it finally came over Knockmitten United in November, was dramatic, as Seaford equalised three times at Rockfield Park before Chris Sastre volleyed home the winner. However, three consecutive defeats during the rest of November put Seaford right back in the soup. The fixture list offered some consolation, as did the knowledge that the team had played within itself during the opening months, struggling for consistency in both selection and performances. A superb performance away at Blessington proved a turning point, centre back Stephen Kelly heading two in a 3-0 win, before an equally dominant display produced the same scoreline at Ratoath Harps, to give Seaford some breathing space. The expanded Vere Deane Cup offered a shot at silverware, but narrow 2-1 defeats against Blessington and Knockmitten condemned Seaford to a group-stage elimination despite impressive wins over Mid-Sutton and Cloghertown United. The league campaign resumed in April, as Seaford made it five wins from six to complete the season. The star of that month's matches was unquestionably striker Carl Doyle, who bagged a hat-trick against Blessington in his first start for three years, before adding two more off the bench at home to Mid Sutton and ending as the seconds' top goalscorer with another brace, in a famous end-of-season win over title-chasing Kill Celtic, sealed by MJ Tierney's stunning 94th minute free-kick.